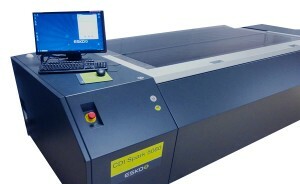 The CDI Digital Imagers offer superb results that before were only achievable in offset or gravure. There is a CDI for every need–from narrow web label printing to flexible packaging and wide format corrugated printing; from one-color printed corrugated boxes to highly sophisticated multi-color packaging and even security printing. 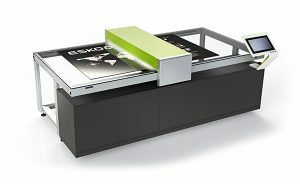 For plates and sleeves, for letterpress and flexo plates–whatever your type of business, Esko has the most advanced digital flexo solution. 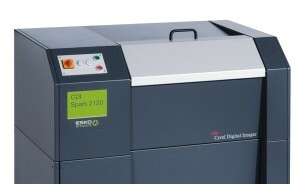 The new CDI Crystal 5080 is the basis for an impressive reduction of complexity in the plate room. 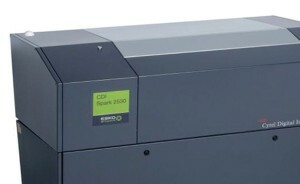 The CDI Crystal 5080 produces the perfect plate for all the flexo print applications that require high print output and stability on press. The innovative XPS Crystal 5080 optimally combines UV main and back exposure, by using UV LED lights. UV LEDs don’t need warm-up time, always emit consistent radiation and have a longer lifetime than the classic light bulbs. 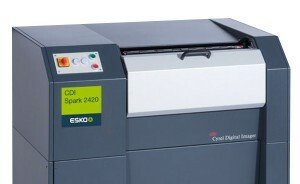 With the CDI Crystal 5080 XPS, Esko redefines flexo platemaking from scratch. The integration and automation of digital imaging and LED UV exposure improves consistency and overall ease of use. Flexo platemaking becomes a coordinated linear process, offering fast turnarounds. 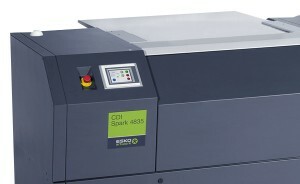 A small footprint, cost-effective flexo plate and film imager specifically for narrow web tag and label printers. Able to image digital flexo plates, foil-based digital letterpress plates, digital silkscreens & more. 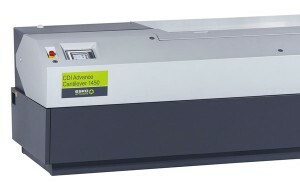 A small footprint, entry-level priced CDI for smaller narrow web/label trade shops and converters wanting digital plates that not only provide better print quality, but also offer consistent reprint quality. 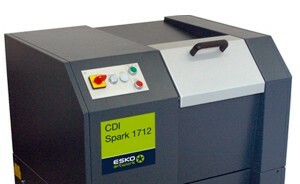 The CDI Spark 2420 specifically addresses the tag and label market. It images a full size 24” x 20” plate of arbitrary thickness in 23 minutes and also comes with EasyClamp for fast & convenient plate loading. For the tag and label market, folding carton & small volume flexo plate producers in general. Images digital flexo plates up to 25” x 30” and comes with an incorporated plate loading table and EasyClamp II. 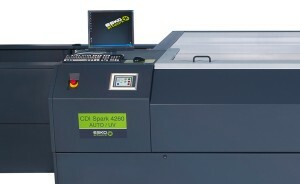 The CDI Spark 4835 images digital flexo plates up to 48” x 35” (1200 x 900 mm). 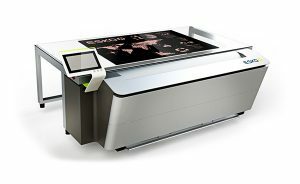 This digital flexo imaging device addresses the small and medium volume label and folding carton flexo plate makers and converters. Addresses the highest quality flexo applications, primarily in the flexible packaging and folding carton markets, with inroads also in corrugated. Large plates and impressive productivity, but entry-level price. 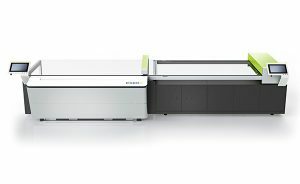 A full-sized flexo imager able to produce larger format cost-effective plates for corrugated converters. Loading and unloading of large, thick plates is assisted by an air-supported loading table. For the highest quality flexo applications, primarily in the flexible packaging and folding carton markets, the CDI Advanced Cantilever images digital flexo sleeves as well as flexo plates. Features the record speed of up 8.0 m²/hr.